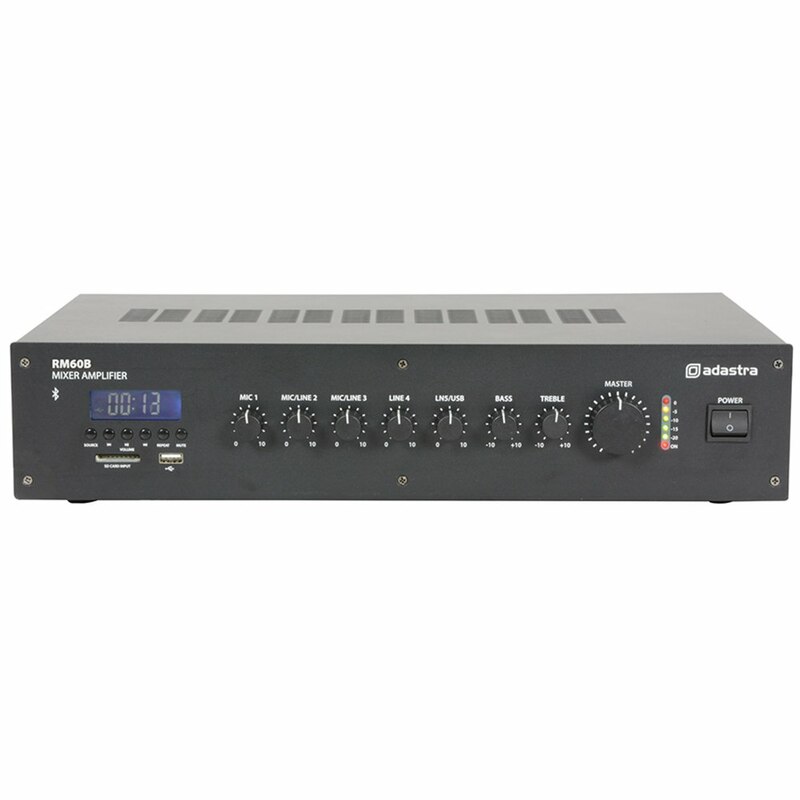 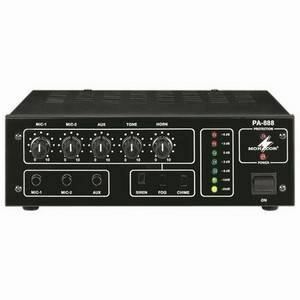 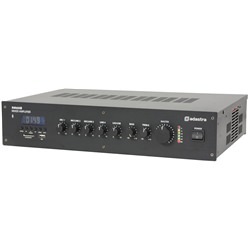 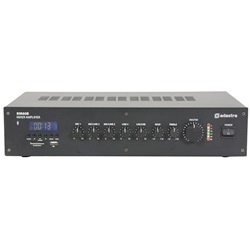 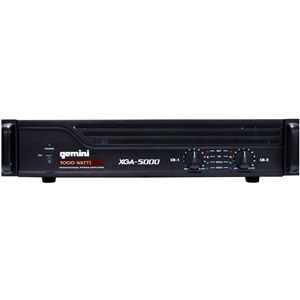 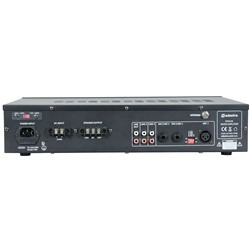 A rack-mountable 5-channel mixer amplifier, tailored to commercial sound installations, that can either be used as a 100V line amplifier or a standard low-impedance amp. 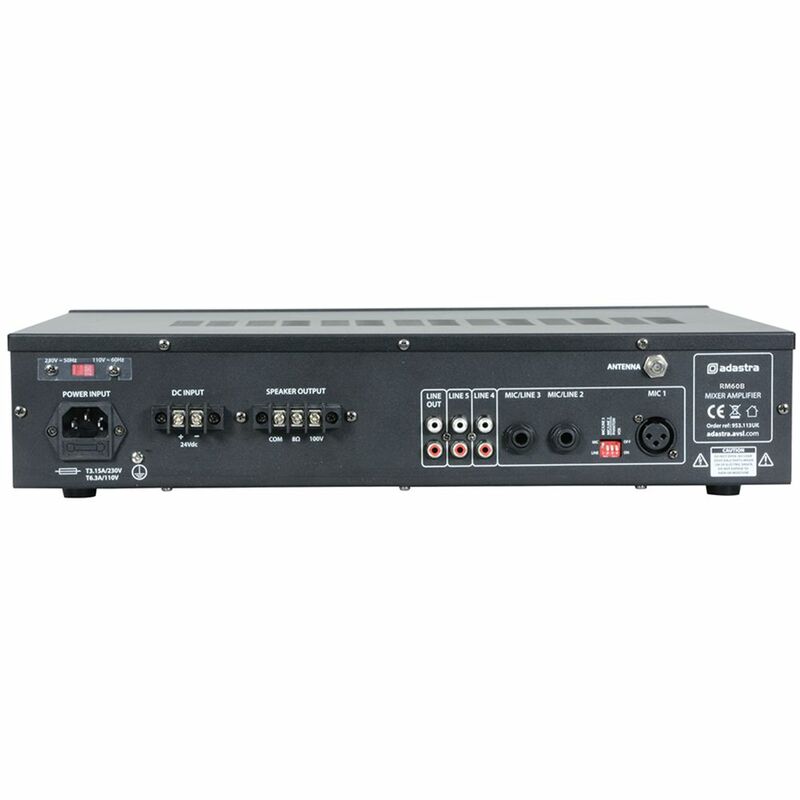 Versatile input options include XLR (with switchable phantom power), mic/line jack, and RCA line. Features an inbuilt FM radio tuner, front-mounted SD and USB ports, and Bluetooth connectivity, all controlled via an integrated media player for hassle-free playback. A switchable ‘voiceover’ feature automatically lowers the background music volume when a signal is detected via mic input 1.